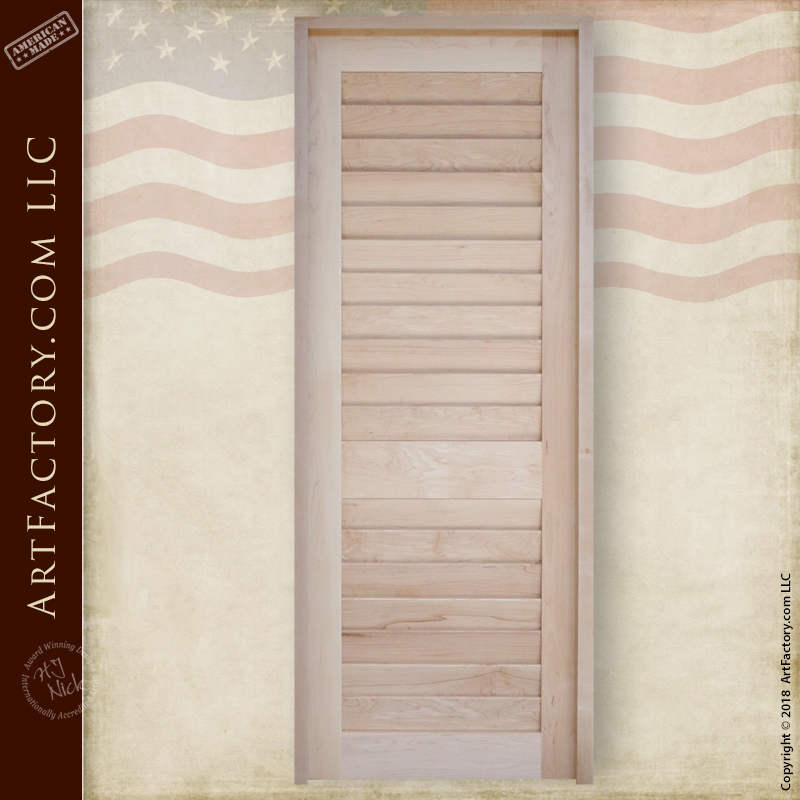 At ArtFactory.com we specialize in making one-of-a-kind, unique custom doors that are built to stand the test of time. Our hand carved custom pantry door is built from solid wood. This door features a louvered wood panel design. Although the door as pictured was designed for a pantry, we can built this style of door to fit any type of doorway or entrance. 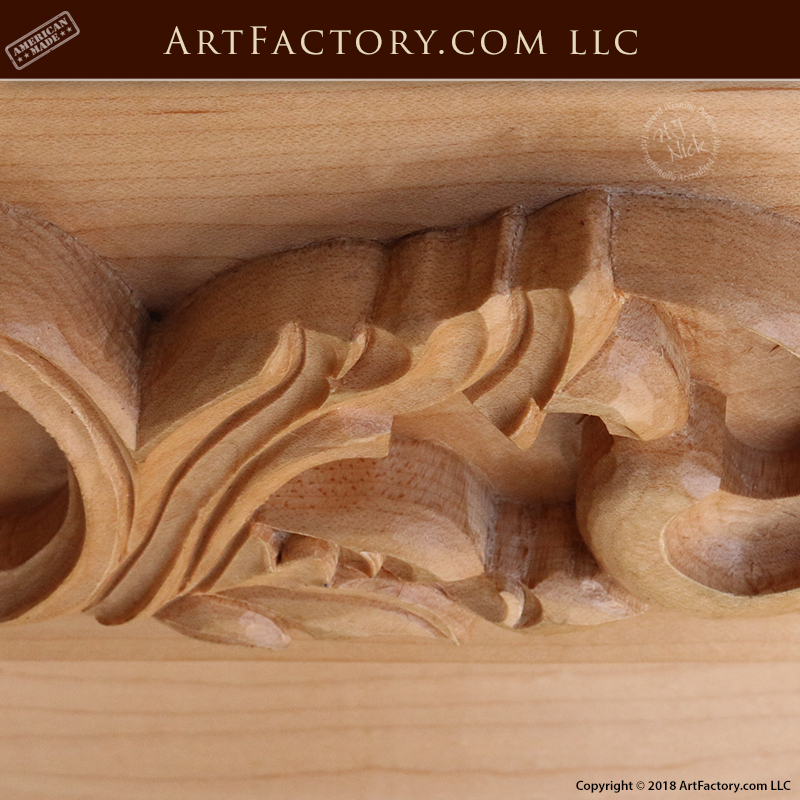 The detailed floral motif wood carving is the work of one of our master wood carver. All of our carvings are done by one master's hands, never by machine, gang carved, or using any other type of fast process. Carvings by one masters hands are especially relevant in the eyes of appraisers when certifying a piece as fine art. All of our custom wooden doors are built with all natural materials, and are handmade by master craftsmen. It is our belief that using all natural materials is especially relevant when creating fine art quality doors and furnishings. We build doors with sold, full length, naturally air dried timber that is hand hewn with mortise and tenon joined construction. This type of materials and craftsmanship makes for a door that provides maximum security and durability. Our doors are never built from particle board, veneers, plywood, or faux materials. When we say wood, we mean "The Genuine Article". 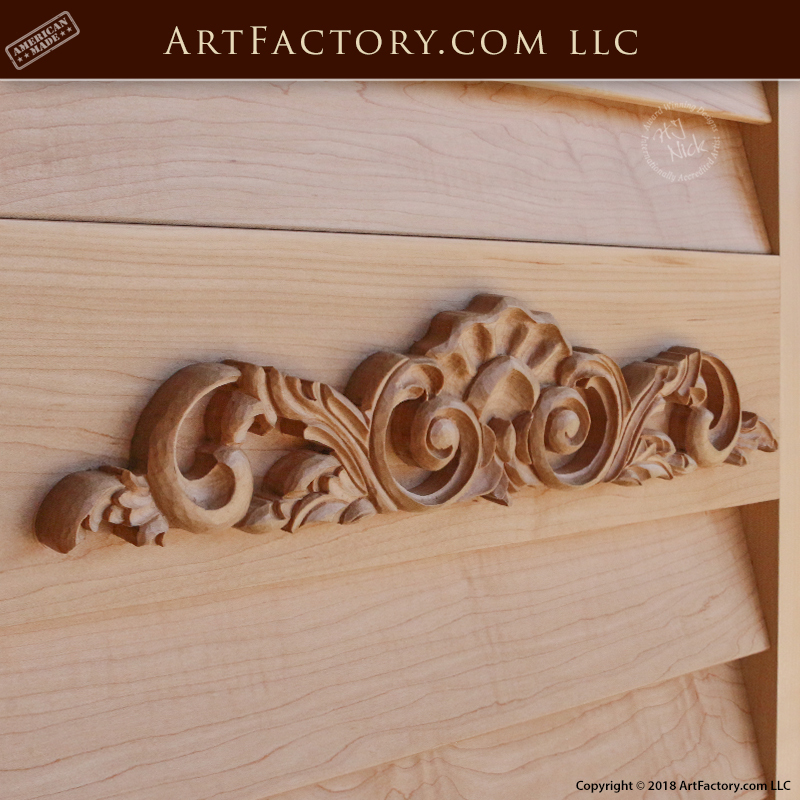 Simple it may seem, this is a fine art quality, hand carved custom pantry door. Our combination of the finest materials, and master hand craftsmanship allow for us to offer a quality of product that is unsurpassed anywhere else, at any price. This is not only an investment quality door, it is an appreciable asset that will add to your financial net worth. In the eyes of your family, it will become a cherished heirloom and a priceless piece of immortality that will be tangible for generations. It will serve as a way to celebrate your life, and its direct effects on who they are and what your influence was on your family's history. True artifacts enhance and enrich all of our lives in a way that mass-produced merchandise never will, thus preserving the best of mankind and expressing our love for each other. This louvered wood panel hand carved custom pantry door is the work of our world class design department, and in house senior engineers. All of our products are designed, and built under the direction of award winning artist H.J. Nick. Every product is signed and certified as world class fine art quality by H.J. Nick, before it leaves our world class factory. This type of certification ensures that your product has appreciable value in antiquity as fine art. It is our belief that our combination of top quality materials and master hand craftsmanship allow us to offer a quality of product that is unmatched anywhere, at any price. In fact, we are so confident in the quality of our products and craftsmanship that we guarantee everything forever. Most importantly, every product that we sell is manufactured in the USA, at our Scottsdale, Arizona factory. When we say made in the USA, we mean it, just as we have since 1913. When nothing but the best will do, call us at 1-800-292-0008 to speak with one of our talented design engineers. 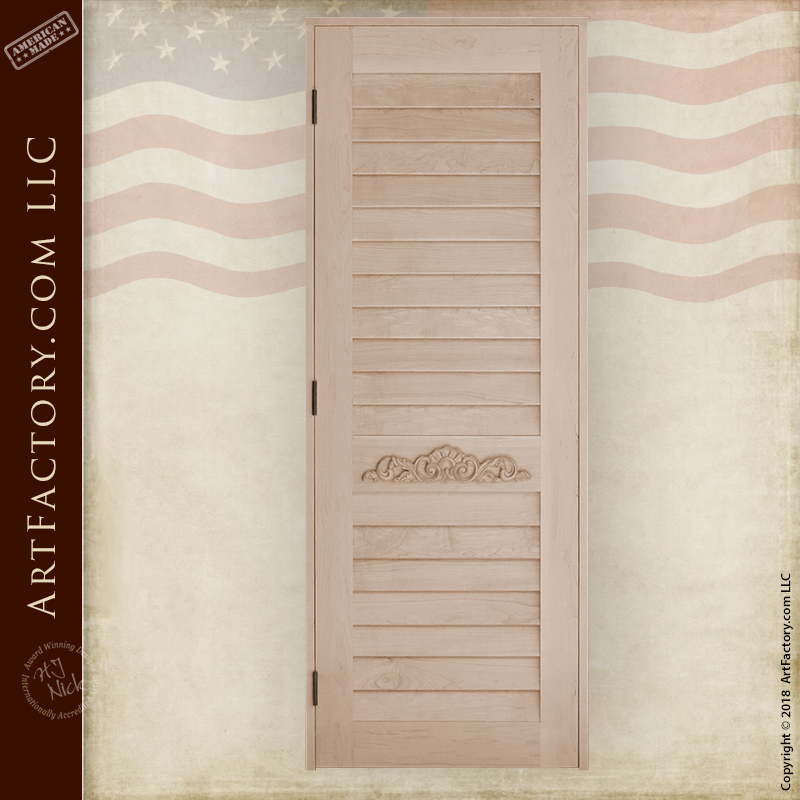 Get a quote for your hand carved custom pantry door, or any of our other fine art quality custom doors today.